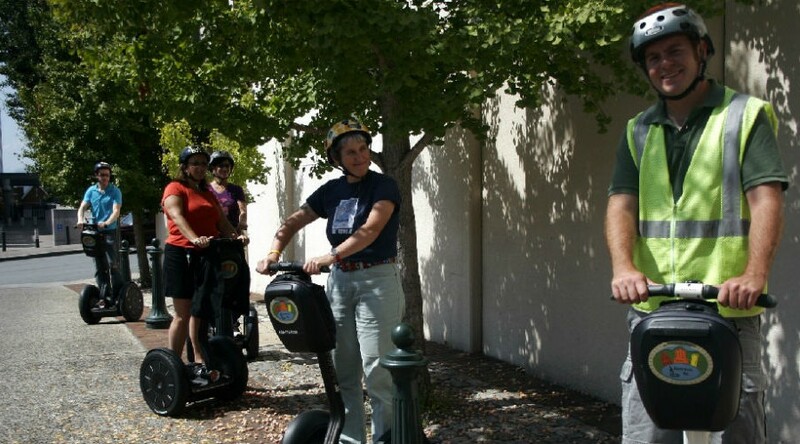 Come glide with us and experience touring downtown Asheville on a Segway i2, the newest 2nd generation Segway with LeanSteer technology. We are located in the Lobby of the Asheville Visitor Information Center with multiple tours on select days. Each tour experience takes between 2 and 3 hours including 20 to 45 minutes of training. Please call or visit our website for more information! Tour times: 10am & 1pm EVERYDAY!!! Each tour experience lasts between 2 to 2 1/2 hours. Tours include 20 to 30 minutes of training.